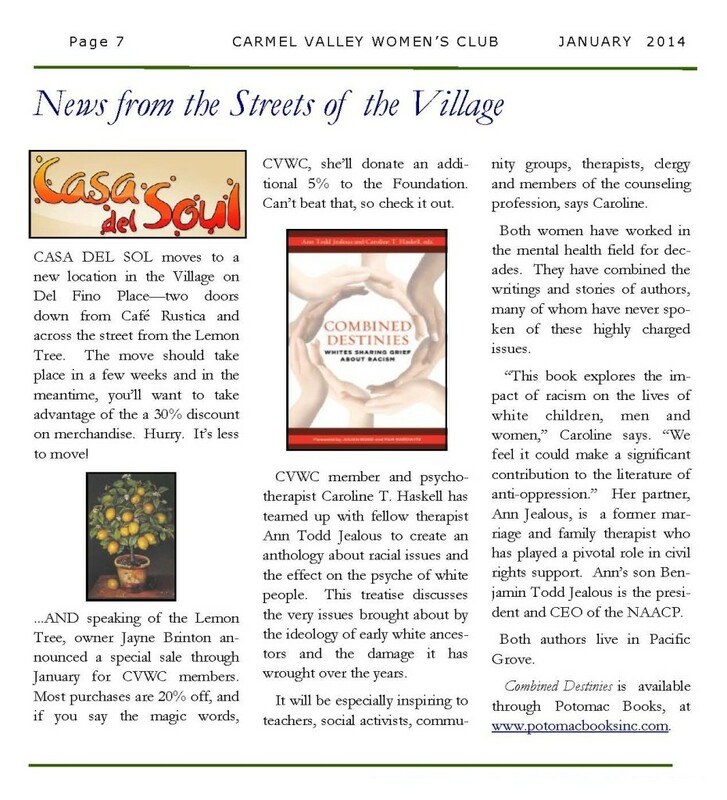 CVWC member and psychotherapist Caroline T. Haskell has teamed up with fellow therapist Ann Todd Jealous to create an anthology about racial issues and the effect on the psyche of white people. This treatise discusses the very issues brought about by the ideology of early white ancestors and the damage it has wrought over the years. It will be especially inspiring to teachers, social activists, community groups, therapists, clergy and members of the counseling profession, says Caroline. Both women have worked in the mental health field for decades. They have combined the writings and stories of authors, many of whom have never spoken of these highly charged issues. 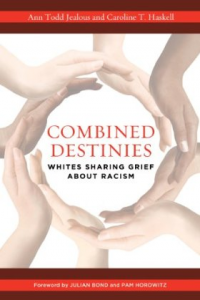 “This book explores the impact of racism on the lives of white children, men and women,” Caroline says. “We feel it could make a significant contribution to the literature of anti-oppression.” Her partner, Ann Jealous, is a former marriage and family therapist who has played a pivotal role in civil rights support. Ann’s son Benjamin Todd Jealous is the president and CEO of the NAACP. Both authors live in Pacific Grove. Combined Destinies is available through Potomac Books, at www.potomacbooksinc.com.